Numerous factors come into play when you are considering who to choose for your image editing. There is a total cost to consider, that is not just the amount of pennies you are spending per image. These factors include image management, the efficiency of the workflow, reputation of the editor, image quality and turnaround time. What this means is if you are paying 5 cents per image, and the results are at junk – for example, images delivered late, taking hours to correct mistakes, poor communication etc. Then the overall cost is actually much higher than the initial 5 cents you are paying. 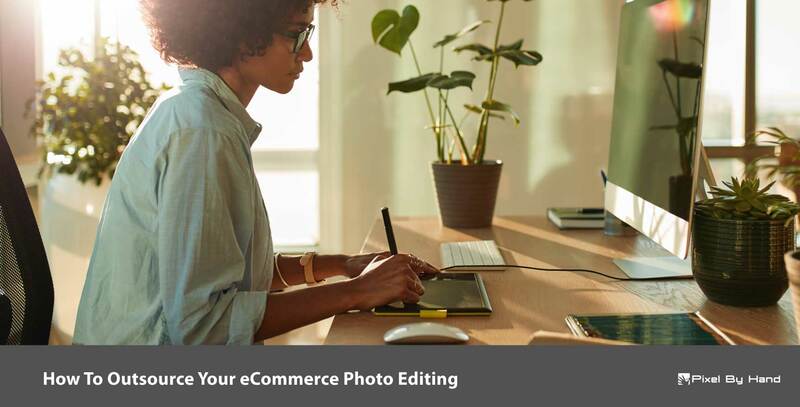 Most ecommerce businesses start their search for photo editing service by comparing the lowest prices available. This is perhaps one of the biggest mistakes you can make. If you are looking to outsource your Image editing, then you should be looking to ask the following questions to potential photo editing services. 1. How do I make contact with you to get started and in the future once work has started? 2. How easy is it to make my requirements clear and understood? 3. What is the native language in which you communicate? 1. What ensures consistent image quality? 2. How do I know that images will be delivered on time, every time? 3. Can you grow with my needs? 1. How do I send and receive images from you? 2. Do you have any upload/download issues or internet downtime? 3. Does your system have a human element? 2. Who are you working with? 3. Are you experienced in e-commerce product imagery? 1. Are you a socially responsible employer? 2. Who will be editing our images? 3. Can I visit you? So what answers should you be looking for to these questions? Let’s break these down one by one. It should be simple and easy to contact your image editing service should you have any requests or problems. The last thing you want when you have a rush order is to be waiting a day or two for an email response. Communication methods are rapidly evolving and your partner should be embracing these methods. Communication is key when you are setting out your requirements and also if you have any requests once the image editing process starts. An over technological system may leave you frustrated just as much as a company simply not responding. The issues you may encounter include not being able to contact a real person directly, language issues and miscommunication. Communication may not seem that important initially, but it can cause huge issues further down the line in terms of wasted time and frustration. Ensuring consistent image quality should be a priority for the image editing service. After all, you don’t want to be checking every single image for inconsistencies. They should have a clear method for quality checking each and every image. If an image is missed, then a simple and fast method for re-editing it should be in place. How do you know that images will be delivered on time, every time? Your chosen image editing service should be able to provide average delivery times and also examples of rush orders they have performed. They should also illustrate examples where turnaround times are not met and how they dealt with the delay. A major part of consistent image quality and delivery times involves the photo editing service being able to cope with large spikes in demand. Spikes in image volumes should not affect delivery times or image quality. By being able to communicate easily with your Image editing company you can discuss scaling your Image editing requirements at short notice. They should also cater for any increases in volume by not overstretching their editing team and maintaining a healthy balance between the number of Staff and the predicted amount of images per day, per week, per month etc. The amount of time that a business has been working specifically in images editing tells you the great deal. Methods of image editing have developed but primarily remain the same. Each and every website has its own feel and brand image. Experienced editors will have seen the best and the worst examples of product images for e-commerce. This experience can be directly translated into how your images should look. Some BPO services try to be everything to everyone. Image types very great across different photography disciplines. E-commerce is there it’s own niche in terms of how products are displayed. It is advisable to use a specialist agency that Focuses solely on e-commerce. If the image editing company can provide examples of who they are currently working with then it is also appropriate to know how long they have been working with them. If they have been working with clients long-term then it bodes well long term, and same to you going through the selection process again. Fashion retailing and e-commerce have been through a period of negative publicity caused by exploitation of employees in third world countries. It is essential that your image editing partner has a record of being socially responsible. It is still quite common to see exploitation taking place in terms of the number of hours worked, the environment in which editors work in and the amount they are paid. You need to be clear on how they treat their employees in terms of their well-being and also your brand. Who is actually doing the work for us? What happens to your former employees? Most image editing services have a fast turnover in employees as they usually plan short term. Staff are unhappy and usually underpaid with no prospects of promotion. You want the image editors working with you to be happy and feel valued. Motivation is a key aspect of quality work being performed. At Pixel By Hand, we prefer to take a more personal approach to image editing. Each and every business we work has an allocated point of contact. If you have any questions, problems or special requests then we are available to help.